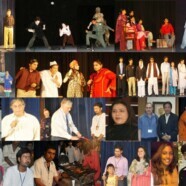 The FCC Dramatic Club organized for the very first time a two-day Inter-University Drama Festival on 22 & 23 of April 2010 in the Sinclair Hall. 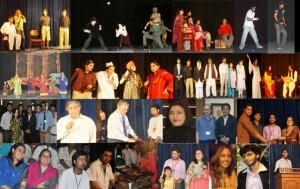 Universities and colleges which staged their productions included: the National College of Arts, Kinnaird College Univeristy, Superior University, Fatima Jinnah Medical College, Punjab University (College of Art & Design), University of Lahore, University of Education and IRC (Interactive Resource Center). The Guests of Honor were the Rector of FC College, Dr Peter H. Armacost and Vice Rector Dr. C. J. Dubash. The Rector welcomed the participants and formally started the event by cutting the red ribbon. The Chief Guests were Syed Noor on the first day, and Usman Peerzada and Rukhsana Noor on the second. On both days, it was a full-house event and the audience gave very positive feedback and appreciated the different productions and festivities. The Chief Guests gave advice to the participants and appreciated their hard work and performances.